KBH20 is the ideal PCBN hard turning grade in continuous to lightly interrupted applications. 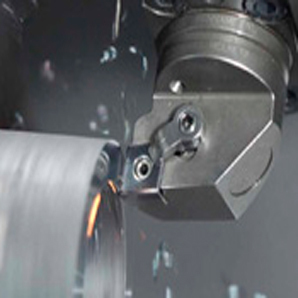 The structure, as well as the different edge preparations, enable tight and repeatable workpiece tolerances, excellent surface finishes, and surface integrity - even at elevated speeds. Visit our Kennametal Carbide Turning Inserts page for more information.